Time and time again I hear from potential clients, friends and acquaintances, “I have a black thumb, so I pretty much kill everything”. Every time my response is the same, “We are inherently designed to be gardeners so I will bet that you have not chosen the right soil and plants for the space”. Upon further inquiry more times than not, that was exactly the case. The wrong plants were chosen for the light requirements, the wrong planting zone, the wrong watering schedule and the wrong soil was used. All simple mistakes of an otherwise intelligent person confusing ability with ignorance. Ignorance comes from a lack of knowledge, inability comes with a lack of opposable thumbs. Your dog may think he’s a gardener just because he can dog a hole but there is a little more to it than that. The 6 basic rules to becoming a real “Green Thumb” gardener are actually pretty darn simple so lets giddy up! 1) Choose the right plant: One of the most common mistakes people make is to go to the nursery without first doing some homework and then choose plants that are not for our planting zone. Your planting zone is 8a or 8b if you are in central Texas (here is a handy chart) and if you do not choose plants for your area, they will never be successful. Choose xeriscape, low water plants that are native or adapted to our area. This is what a native and adapted plant palate looks like. If a Xeriscape, low water, low maintenance garden looks this fabulous why would you need to choose plants that don’t belong here? 2) Choose the right plant for the correct light situation: Light requirements are super important. If you choose a shade plant for a sun spot it will burn alive. If you choose a sun plant for a shade spot it will grow long and leggy and will never bloom and a weak plant is prone to disease and pests. If the plant you choose craves the sun, make sure it gets what it needs. Sun plants need 6 hours of light, part sun needs morning sun and afternoon shade, and shade means shade. 3) Properly space your plants: Planning a garden means you plan out the space with the mature size of the plants in mind. You need to choose the right plant for the space or you will be creating a maintenance nightmare for yourself while increasing the chance of disease and pest problems. 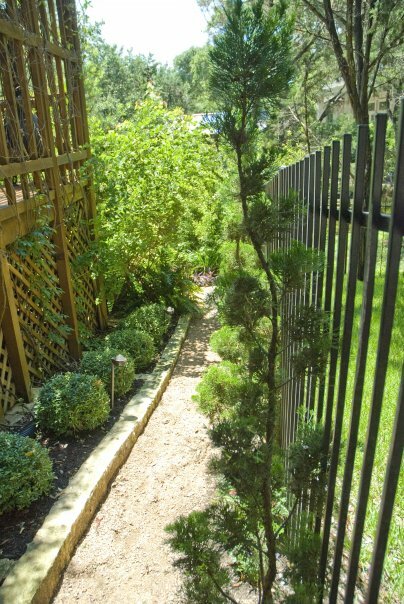 If the plant will eventually grow to 10’x10′, be sure to give it all the space it needs when planting around it. Too many people plant for instant gratification instead of long term success. Space your plants with plenty of room to grow and you will not have to trim them to keep them in their space. This garden may look sparse now but it will be lush and full in two years. Planting too close might give you “instant” results, but it will be an overcrowded mess later. Note the huge Pittosporum in the back, had I planted to close to it we would have lost its impact in the space and he (Mr. Pittosporum) would need more maintenance. In the odd space below, choosing the wrong plant could be disastrous. Structural interest should be enhanced by the landscape, not taken over by it. This is a narrow walkway with low light on one side and bright on the other. This is a balancing act that required specific plants for success. That requires homework! 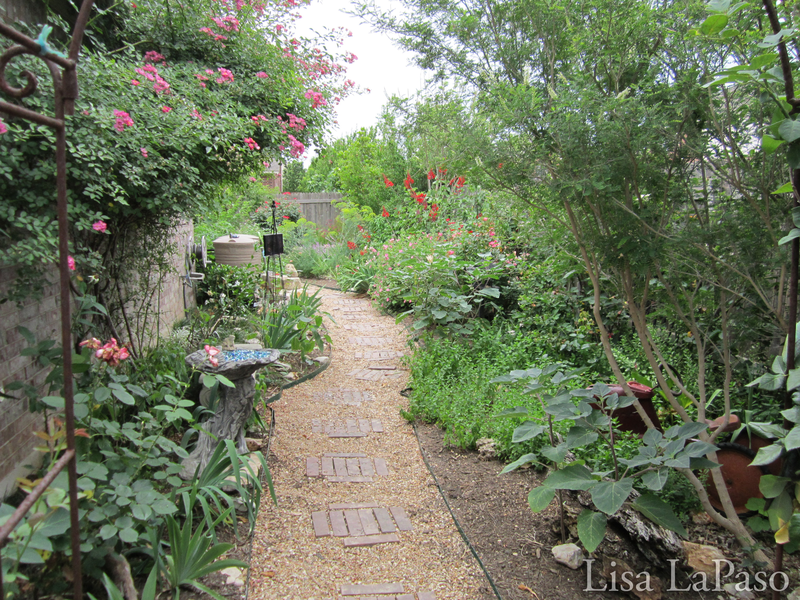 5) Avoid chemicals whenever possible: Again, if you know me or have ever read my blog you know I am no fan of chemicals, but your garden isn’t either. Neither are the birds, butterflies, air, water, your kids, your pets, the planet, your soil…oh, yeah, the soil. The soil is a living organism. You have to remember it literally has a life of its own and that chemicals change the composition of whatever it comes in contact with and in this case it is the living organism that is supporting the plants you are installing. Chemicals can kill the life in the soil and those beneficial bacterial and fungi provide a much-needed ECO system for your plants survival. Only use organic fertilizers, follow the directions properly and only use chemicals as a last case scenario. Compost your lawn every spring, compost your beds and trees and veggie gardens and you will be stunned by the difference it will make in your space. 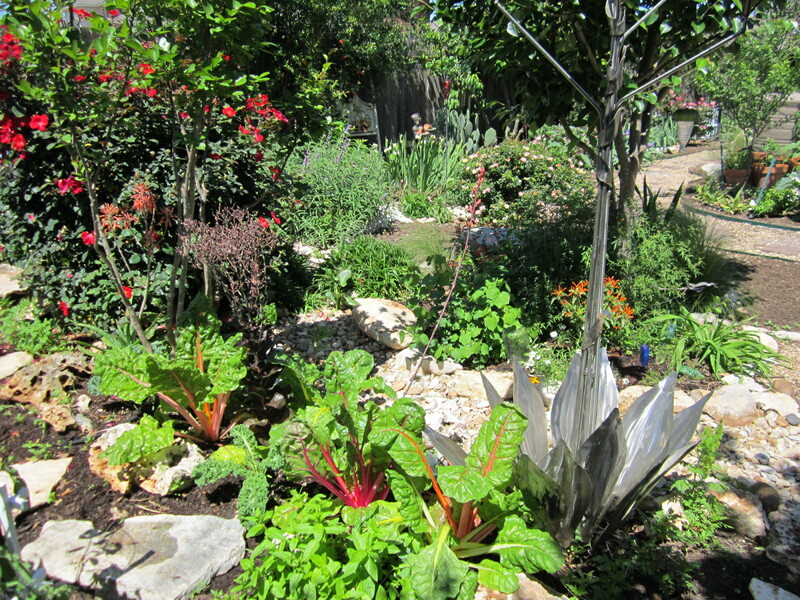 Creating exquisite Xeriscape and edible gardens that are organic, low maintenance and low water is all about the plants and soil. There is no place for chemicals here. 6) watering schedule: This is a super tricky one even for me because everyone’s conditions are so unique, but if you are planting a new bed in the spring you water just about every day for two weeks after planting unless the soil is still wet the next day. How do you know if the soil is still wet? Stick your thumb in it 😉 or at least a finger and see if there is still moisture in the soil. If there is, let it go a day and water then. It is best to water new plants at night so they have time to absorb the water before the heat kicks in. After the first couple of weeks begin weaning them to every three-day and eventually to once a week for the first year and after that water as needed. My mature plants can easily go a month or more (usually from rain) without me. If you plant in the fall, pretty much follow the same rules but water at least every other week once established and especially before a freeze. while you may not see much happening above ground, they are working magic below the soil. Never over water or allow your plant to sit with “wet feet”, to error on the drier side is always better than soggy because an over wet plant will rot. 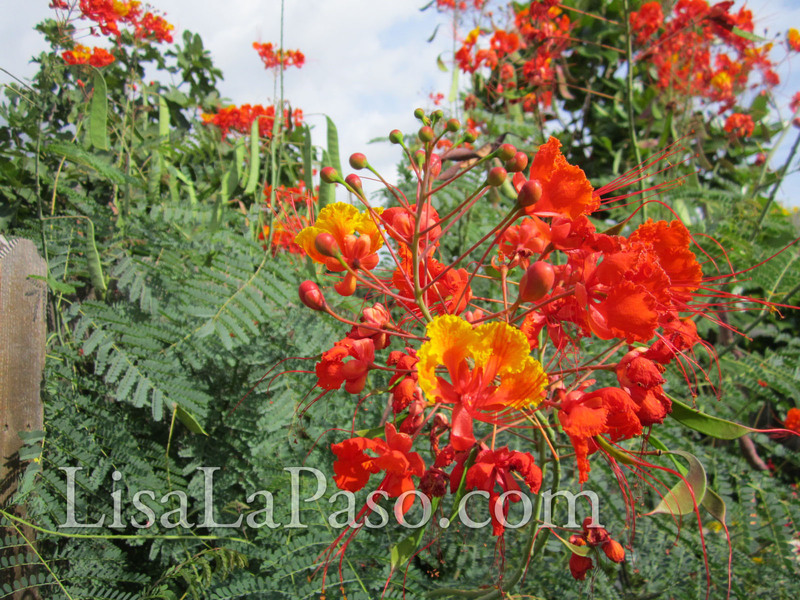 Pride of Barbados-super drought tolerant. Full sun. There is a huge list of plants that need little to no water once established get to know them and use them often. Now you may be wondering why I did not address maintenance. Well, I did so with good reason because if you are following the 6 rules I have laid out for you, maintenance will be a minimum. However, for those of you who would appreciate a run down, here it is…1), if you choose the right plant for the space it is going to have less pest and disease issues and you will get the color and shape you are seeking. You also need to do some research to buy the right plants for your planting zone so you won’t have to replace them. 2) if you choose plants for your light requirements your plant will be healthier, grow properly and will have less disease and pest issues meaning you do not have to spray or lose sick plants to disease. 3) If you space your plants for their mature size (height and width) you will prevent a lot of future maintenance issues and avoid the “blob” look that so many people end up with from over planting. Also, remember that over planting by your landscaper is them showing you a lack of knowledge, or they are taking your money, either way you lose. 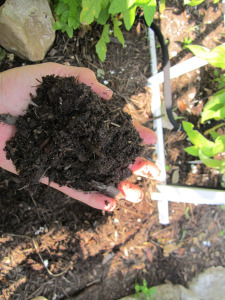 4) If you use quality soil to begin with, compost in the spring and mulch in the fall you will have healthy plants with less pest and disease issues avoiding a need for chemicals or plant replacement. 5) If you are following the first 4 rules, number 5 is a no brainer. 6) A dried out plant is a struggling or dead plant (a dried out plant is also prone to pests) and an overoverwatered plant is an even deader plant if that is possible. I suggest you trim your perennial plants that need to be trimmed in late winter/early spring or whenever they begin to green up and the freezes are over. 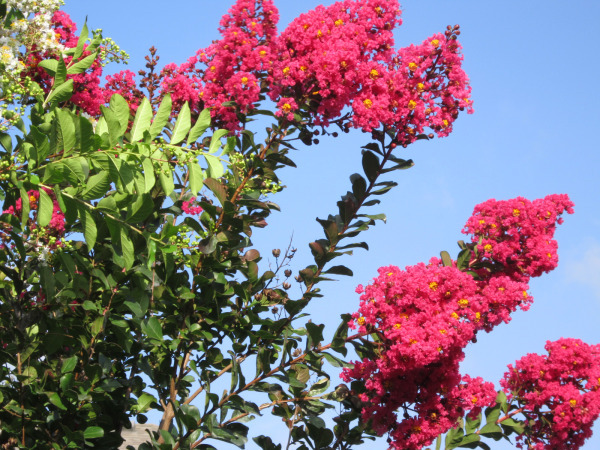 Fruit and flowering trees should be trimmed after they fruit or flower and large trees should be trimmed every three years or as needed. (If you have Oaks, read this) Other than that let them be and enjoy the ride. Take your failures as you do in life and learn from them. Pat yourself on the back for your successes and remember that we were put on this earth to be gardeners, there is no such thing as a black thumb but you can darn well earn a green one! Now go get your green thumb on! If you are in Austin or the surrounding area and would like to schedule an educational consultation with me feel free to contact me at 512-733-7777, or email me at lisalapaso@gmail.com.